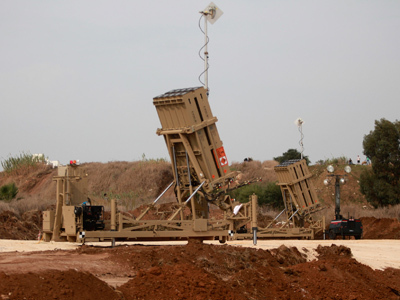 A fifth, updated Iron Dome anti-missile battery has been deployed in the Tel Aviv area in anticipation of more rocket attacks from Gaza. The Israeli military says the system intercepted an incoming projectile just hours after being installed. The system, which boasts more advanced radar and interception systems than the other four batteries, was rolled out in Israel's commercial capital two months early in response to the escalating violence caused by Israel’s Operation Pillar of Defense.A snaking plume of smoke trailed the interceptor before it burst in a flash of light over the city on Saturday afternoon. People who had scrambled for cover along Tel Aviv's seaside boardwalk amidst the wail of air raid sirens erupted in applause in response to the mid-air detonation of the incoming missile. A second missile launched at the city was not intercepted, although no damage or injures were reported. 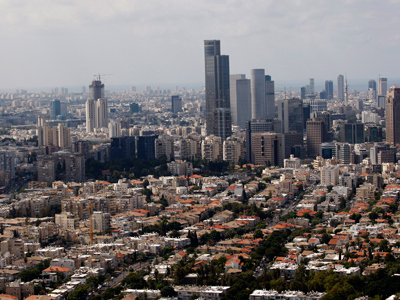 It was the third straight day Hamas' military wing in Gaza had launched rockets at Tel Aviv. On Thursday a rocket hit the city for the first time since the Gulf War. 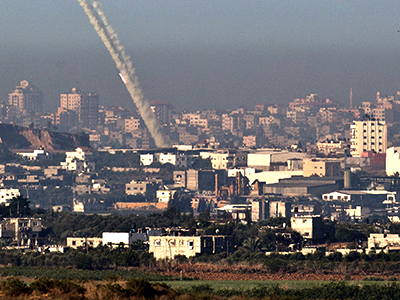 The Israeli Defense Force (IDF) says the Iron Dome system has intercepted nearly 250 rockets –"90 percent of their targets in the sky" – since the assassination of Hamas military chief Ahmed Jabari on Wednesday. Upwards of 60 rockets were fired towards Israel on Saturday after an Israeli bomb decimated the office building of disputed Prime Minister Ismail Haniyeh. Israel for its part battered the Gaza Strip with over 200 airstrikes Saturday, targeting a police compound, 120 rocket launchers and the extensive network of tunnels used to circumvent the Israeli blockade of the territory. 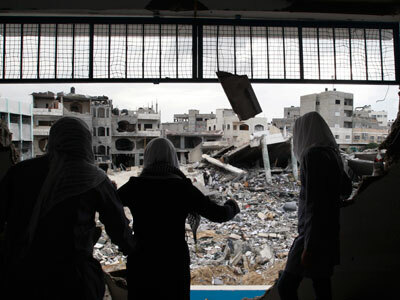 Approximately 830 targets have been struck in densely populated Gaza since the current operation commenced. The intensified Israel air campaign comes one day after the Israeli parliament authorized the mobilization of 75,000 reservists in anticipation of a potential ground invasion of Gaza. 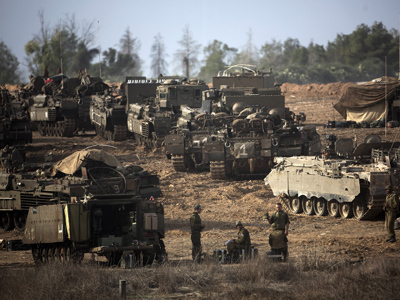 The number of troops called up far exceeds the numbers deployed during the 2008 Gaza War. Israeli Foreign Minister Avigdor Liberman, told Channel 10 that toppling Hamas was not a strategic goal for the ongoing Operation, the Jerusalem Post reports. "We are definitely considering a ground operation, but toppling Hamas, I think that's something that the next government will have to decide", he said. At least 40 Palestinians have been killed over the last four days, including seven children. 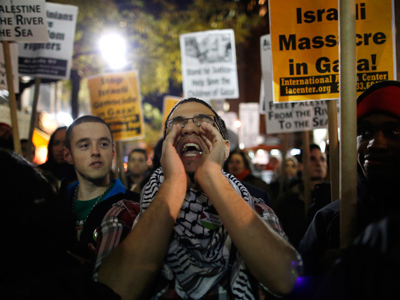 Three Israeli civilians have also died in the violence.